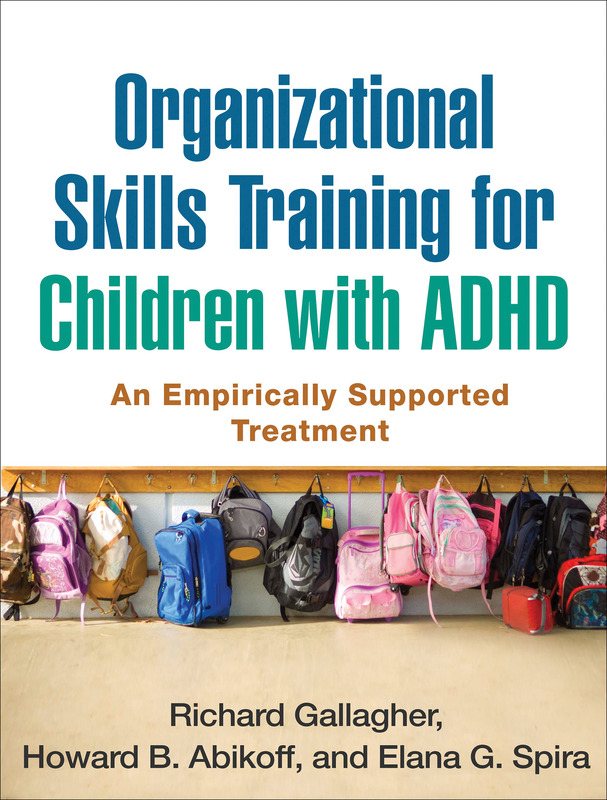 This indispensable manual presents an easy-to-implement intervention with proven effectiveness for children with ADHD in grades 3 to 5. Organizational skills training helps kids develop essential skill sets for organizing school materials, tracking assignments, and completing homework and other tasks successfully. Clinicians are provided with detailed session-by-session instructions and all of the tools needed to implement the program in collaboration with parents and teachers. In a large-size format for easy photocopying, the book includes nearly 100 reproducible handouts and forms. Purchasers also get access to a Web page where they can download and print the reproducible materials. 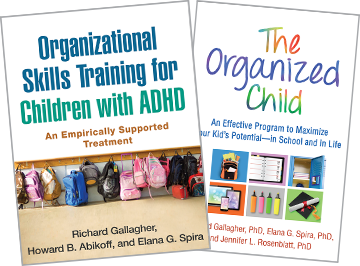 See also the related parent guide from Gallagher et al., The Organized Child: An Effective Program to Maximize Your Kid's Potential—in School and in Life.